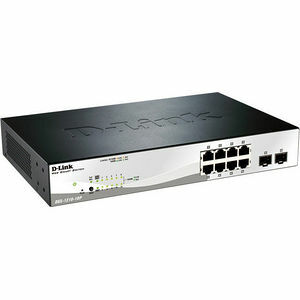 Several models in the DGS-1210 series family support Power-over-Ethernet capabilities, simplifying deployments with IP cameras, VoIP phones, wireless access points, and other powered devices. These models include the DGS-1210-10P, DGS-1210-28P and DGS-1210-52MP. Using the switch's management interface, an administrator can control various PoE functions, such as remotely rebooting cameras or access points, from anywhere on the network, including over the Internet. The switches also support time-based PoE - an option that allows administrators to set a time window that determines when each port's PoE power is turned on and off.